The pioneering dance records of Hank Ballard & the Midnighters, featuring their original version of 'The Twist'. This is the first time that Hank Ballard's dance classics, recorded for Federal and King between 1955 and 1969, have been gathered together in one collection. Some projects do not come to fruition overnight and this compilation is a case in point. The idea germinated way back in 1992, when Paul Harris and I took the opportunity to interview Hank about his dance records before his successful appearance at the Blues Estafette in Utrecht, Holland. Eight years on, and I think the wait has been worthwhile. The music sounds great and the stories hold up well. 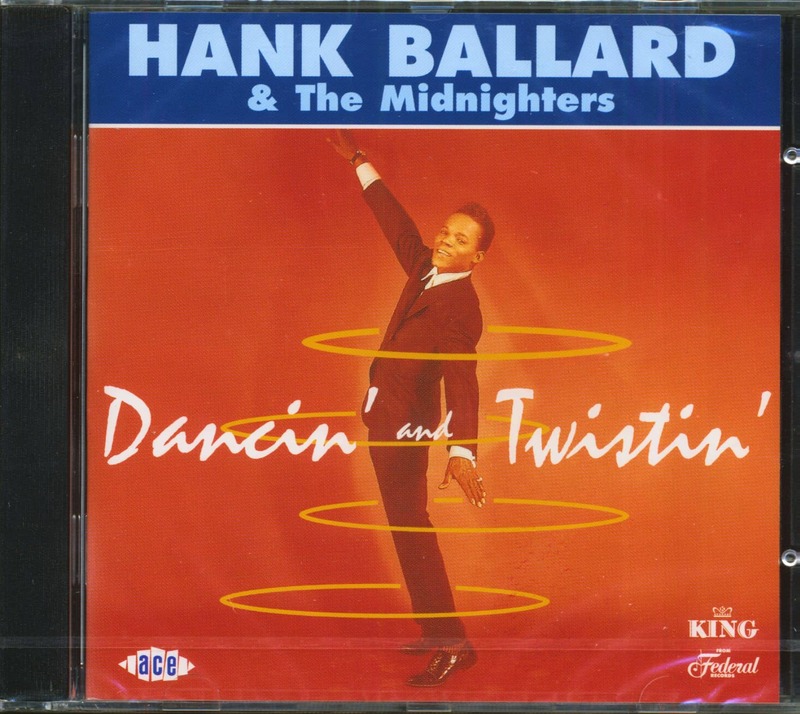 Hank Ballard and the Midnighters were at the forefront of the dance crazes that proliferated at the turn of the 1960s. The bedrock of the genre was The Twist, written by Hank himself, although Chubby Checker's cover version snatched eternal glory. 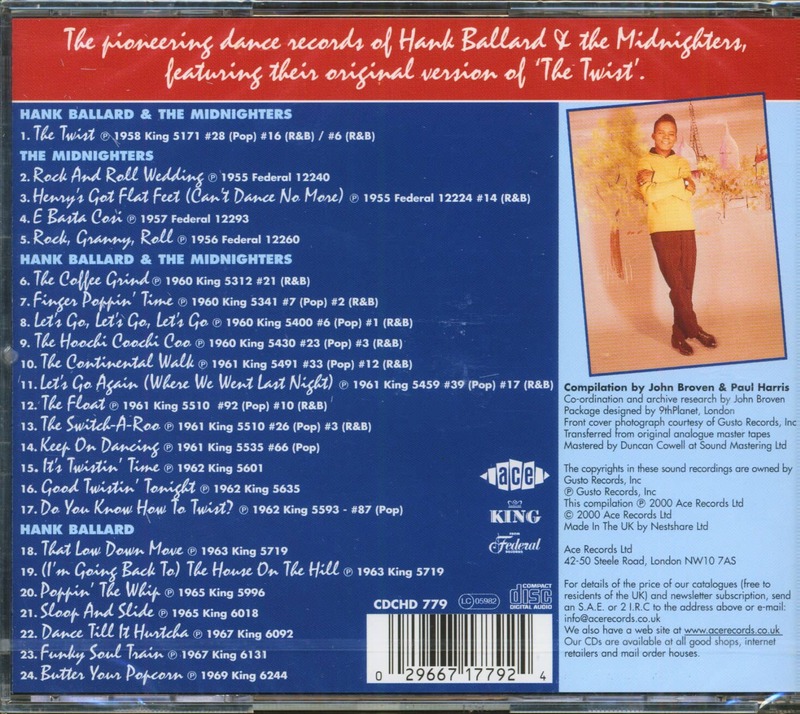 Hank's original cut of The Twist is included here, along with his other big hits Let's Go, Let's Go, Let's Go, The Continental Walk and Finger Poppin' Time (the 45 version, not the one with the oft-reissued 40-second edit). But there is much more, starting with four releases in the name of the Midnighters from 1955 to 1957 including Henry's Got Flat Feet (Can't Dance No More). After The Twist hit paydirt, Hank enjoyed a golden streak with no less than 10 other dance hits between 1960 and 1962. Inevitably, there was a cooling off period as the dance craze abated and the soul era began to bite. But, adaptable as ever, Hank proceeded to give his new dance songs a soul beat, notably Funky Soul Train and the James Brown-type Butter Your Popcorn. This set is sure to appeal to fans of rock 'n' roll oldies, vocal group collectors and dancers alike. Get those hips swivelling and come on, baby, let's do the Twist! Customer evaluation for "Dancin' And Twistin' (CD)"